Clay Legendre “Mike” Bartlett (November 25, 1933- March 26, 2017) was born in New Orleans, LA to Earl Putnam and Edith Cecile Pique Bartlett. A graduate of Isidore Newman High School, Mike excelled as an athlete, playing quarterback and running back in football, guard on the basketball court and javelin thrower in field events. A graduate of Tulane University, he received a Bachelor of Business Administration and was a member of the Kappa Alpha Order. After graduation, Mike enlisted in the Navy, serving as paymaster on the USS Philippine Sea stationed in the Pacific.Upon completion of his Navy service, he was employed with Gaylord Container Company and Mosler Safe Company before going to work with his father-in-law, Leland Speed in Securities at Leland Speed, Mounger & Co., later Leland Speed, Mounger & Bartlett, Inc. Mike went on to work for Thomson-McKinnon Securities, Prudential Securities as well as serving as President of his family coffee company in New Orleans. Mike’s greatest passion was for his family and friends. Cooking, tennis, golf, the beach, his dogs & overall love of life. He was a member of The Boston Club of New Orleans, The B & B Club, Club 100, served on the boards of Southern Beverage Company, MS Methodist Rehab, and was President of the Mississippi Hunter Jumper Association after worn every other hat at shows his youngest daughter successfully participated in, not being a rider himself. He was also a member of St. James Episcopal Church. 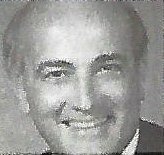 He was preceded in death by his parents, Mr. and Mrs. Earl Putnam Bartlett, brother, Earl Putnam Bartlett, Jr., and sister, Betty Bartlett Parker. He is survived by his wife of 57 years, Shellie Speed Bartlett, daughters Katherine Pique Bartlett Youngblood, Cecile Legendre Bartlett Harris (Michael), grandchildren William Youngblood, Katherine Clay Youngblood, and Nicholas Harris. In lieu of flowers, donations may be made to the Alzheimer’s Association of Mississippi, 232Market Street, Flowood, MS 39232 or the G V (Sonny) Montgomery VA Medical Center Hospice Care, 1500 E. Woodrow Wilson Drive, Jackson, MS 39216. A Requiem Eucharist will be celebrated at 11:00 a.m. Friday, March 31. 2017 at St. James’ Episcopal Church.